Has the shopping craziness begun yet? Each year, Jason and I shop online for more and more of our gifts. The less time I spend having to fight crowds, the more time I have for fun sewing – yay! 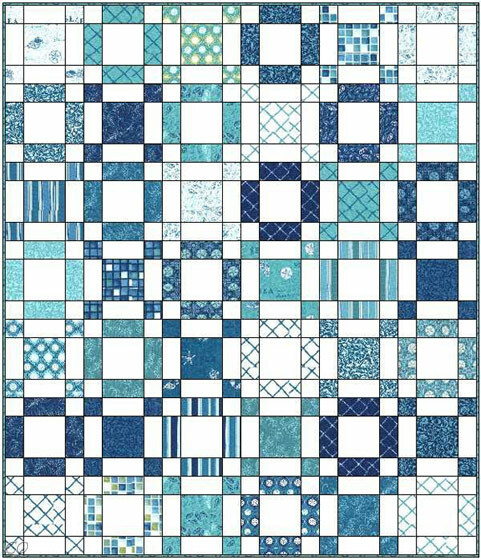 All kits on sale including Sea of Squares – one of my best sellers! If you are like me and love to shop online (especially for sewing related goodies) I’ll try to make it easy on you. Many of you already know I’m clearing out my online shop full of fabric and goodies at ChristaQuilts.com. 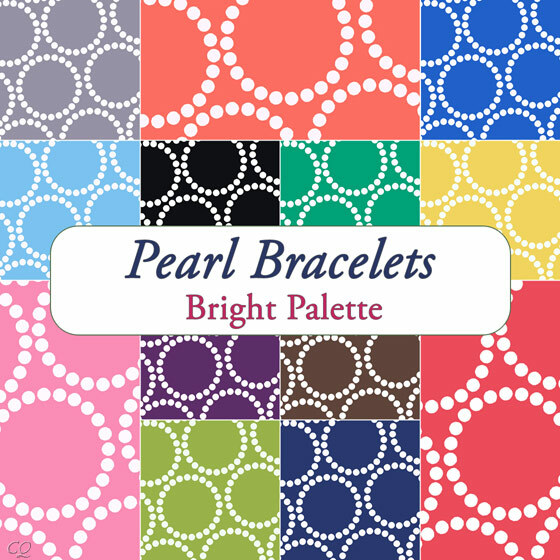 All fat quarters are on sale too – Pearl Bracelets and more! Well, guess what? I just went through our entire inventory and have decided to put everything on sale. Yep, every single darn thing in our inventory is now on sale at least 20% to 50% off. 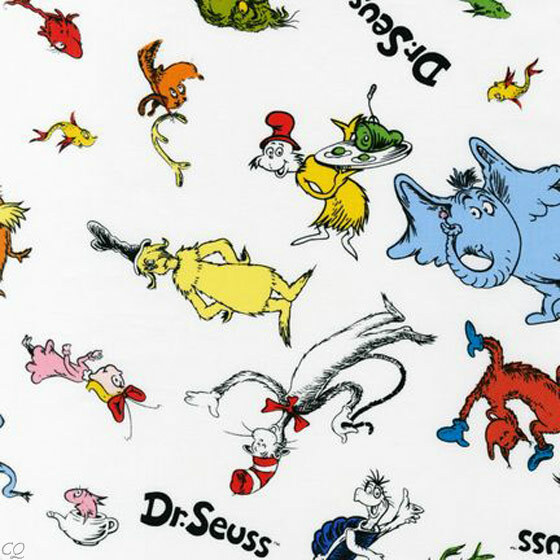 All novelty prints including Dr. Seuss on sale! I had thought I would be okay selling it out slowly over time, but you know what – now I want it gone sooner rather than later! (This kind of goes along with my blog post earlier in the week about how I want things done NOW. 🙂 ) So take advantage of Black Friday/Cyber Monday sales now and feel free to clean me out!! Click here to shop our entire clearance section – just over 900 items left and getting smaller each day! 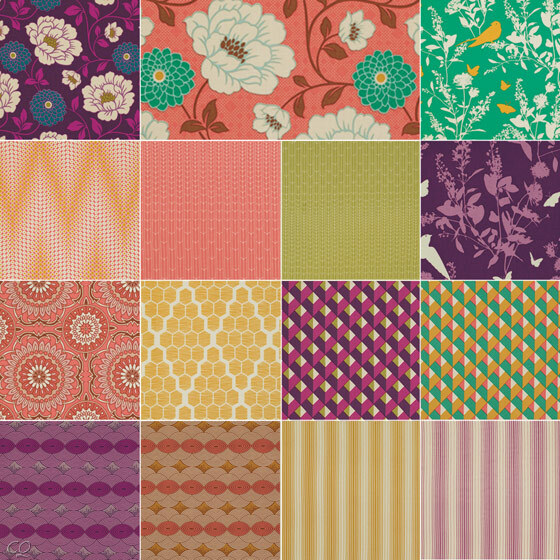 All yardage is on sale including modern lines like Bungalow by Joel Dewberry. 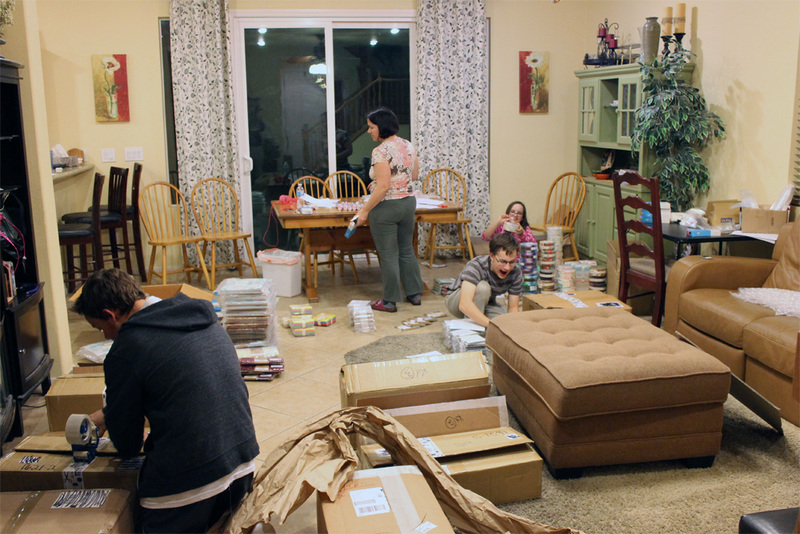 The kids and I prepping our next Amazon shipment. I’ve already been enjoying more free time to pursue the things I really want to do. And thanks to our precut store on Amazon, I still get to fondle and sell fabrics I love while working around my own schedule. It’s a win-win! I share your philosophy – when I’m ready to clean something out, I want it gone! Hope you are having a really successful sale this weekend! It looks like you are having fun in all that work! How lovely more space will be. Good move, I think.